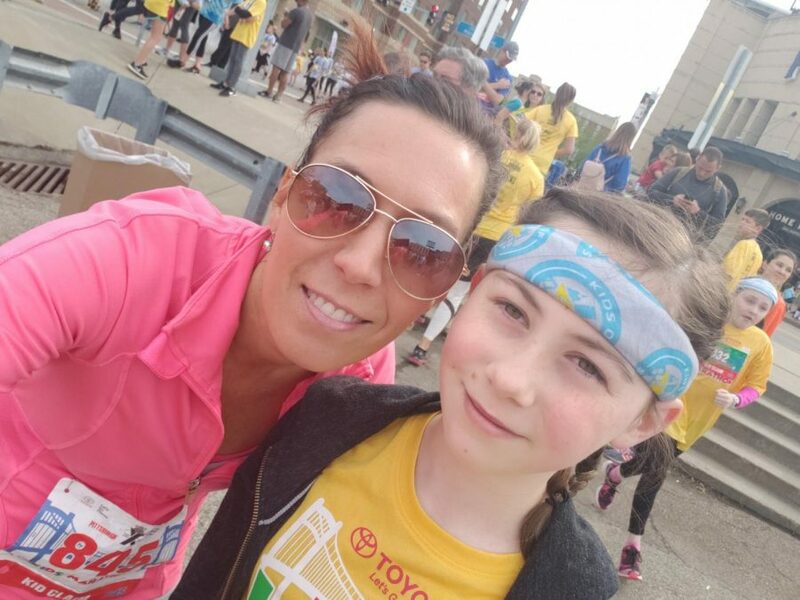 Dawson and her daughter take a selfie together at the Kids Marathon in Pittsburgh. In school, students are only able to see one side of teachers. 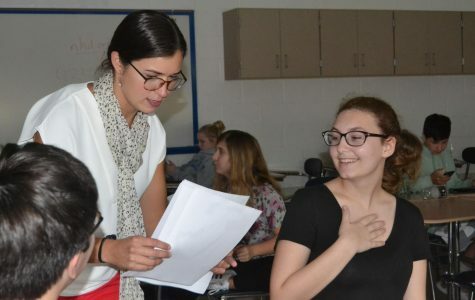 Students often hear that teachers lead a busy life outside the classroom but never really get the chance to know what exactly they do when the job of teaching, grading tests, giving homework or slaving over reports is over. Ms. Dawson, a Chemistry and Forensic Science teacher at Trinity, participates in running 5 and 10 Ks. In high school, Dawson never ran track or cross country. She chose to participate in these runs after her son was born to get back in shape. Dawson has been involved in 5 and 10 Ks for 14 years now and has done roughly nine 5 Ks, two 10 Ks and a 10-mile long obstacle course race. That totals to about thirteen runs she has been involved in. The 5 Ks she has been a part of include the Shamrock Shuffle, a fundraiser for Jameson’s Army; Adeline’s Angels, a fundraiser for the SUDC Foundation; the Buffalo Bills 50 Yard Finish; and the Burgh’s 5 K Race. She has participated in the following multiple times: the Shamrock Shuffle three times, Adeline’s Angels three times and Burgh’s 5 K two times. Dawson also participated in the following 10 Ks: the Great Race in Pittsburgh and the Marine Corps Marathon that is held in Washington, D.C.
Dawson has done a 10-mile long obstacle course called Barber Beast on the Bay, a fundraiser for the Barber Institute for children with special needs. She has also participated in a kid’s marathon with both her son and daughter which was a mile long. In order to prepare for her races, Dawson runs the Montour Trail and tries to run three to four miles. After having her kids, her time spent running has dwindled down to running about once a week. She normally runs races in the Pittsburgh area with her friends, brother, and boyfriend. “My motivation to run the 5 and 10 Ks is to get exercise and it’s a great stress reliever. I chose to participate in these because I love to be outside,” Dawson stated. Her most recent 10 K was run in Washington D.C. and was called the Marine Corps Marathon. This 10 K was held on Saturday, October, 27. When teachers aren’t busy educating and impacting students, they are out living interesting lives. Dawson makes this living proof by participating in 5 and 10 Ks.